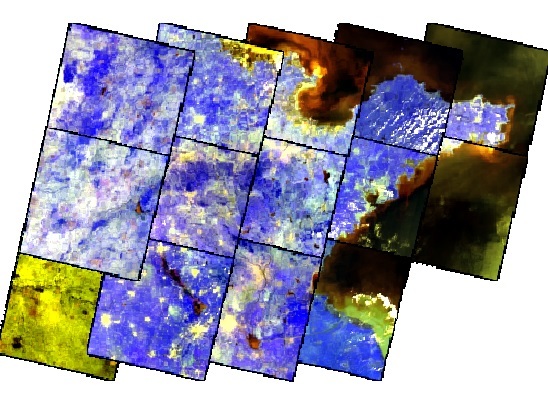 I am doing mosaicing of 14 raster images (.img format) to completely cover a province.see original spatial location of separately opened tiles( ). 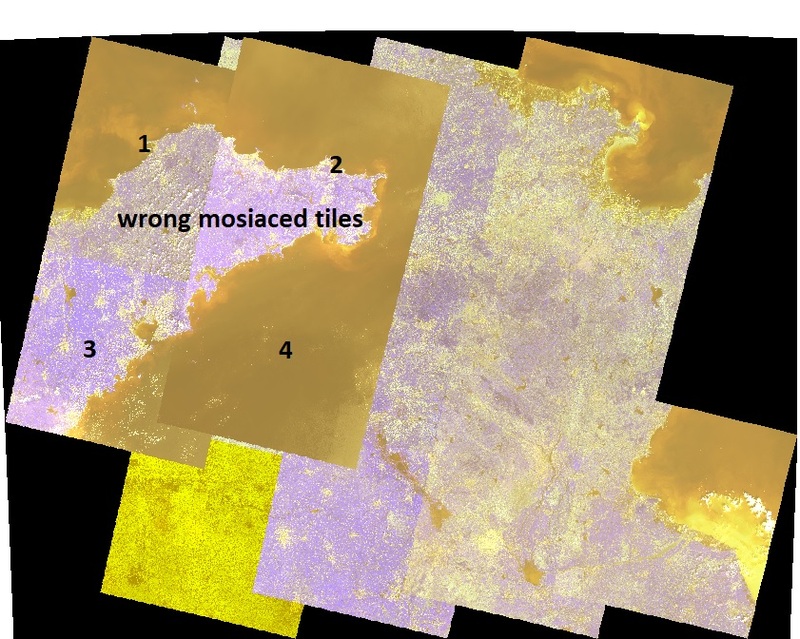 Mosiac operation is completed but 4 tiles are mosiaced on wrong spatial location. whereas other 10 tiles are mosiaced accurately ( ). when i am opening separate files all files are getting opened at their origina spatial location. please help me to resolve this issue. I am using this code for mosaicing of 14 raster images. This removed the barrier of different UTM zones and then using the code given in my question, mosaic image was generated. Actually this is quite obvious approach but i was trying to perform it in an automated manner. Converted above mentioned code into function, applied the function on all images through looping and got succeed. Not the answer you're looking for? Browse other questions tagged python image rasterio or ask your own question. How to use “context” in rasterio? Rasterio: tool for creating mosaic?